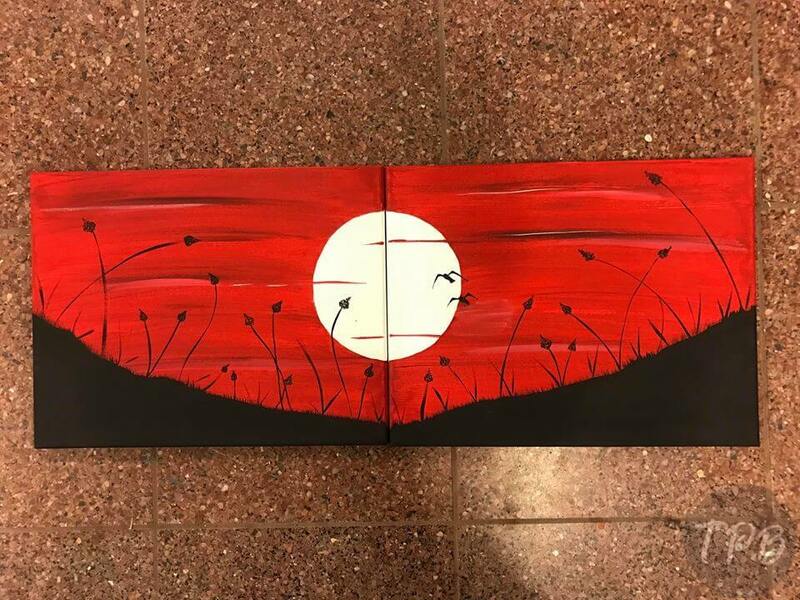 We will be painting a red sunset with striking moon on TWO 11×14″ canvases. We’ll paint the painting together, with your partner or on your own! Pre-payment and registration are required.